KAMPALA – A city lawyer has accused security forces of deporting two Rwandan nationals without following the due process required by law and in defiance of court orders. It is alleged that in August, Chieftaincy of Military Intelligence (CMI) operatives illegally deported Chris Karemera and Emmanuel Rurangwa in defiance of court process. City lawyer Eron Kiiza said Mr Karemera and Rurangwa, who are currently undergoing rehabilitation in Rwanda, were arrested in July and detained incommunicado in ungazetted places like Makenke Military Barracks in Mbarara District and Mbuya Military Barracks in Kampala. “We are concerned that these people are ordinary businessmen arrested and detained beyond the 48 hour allowed by the law and in violation of mandatory release orders by court and their property and money is stolen,” said Mr Kiiza adding that the increasing spate of arrests and deportation started in August last year. 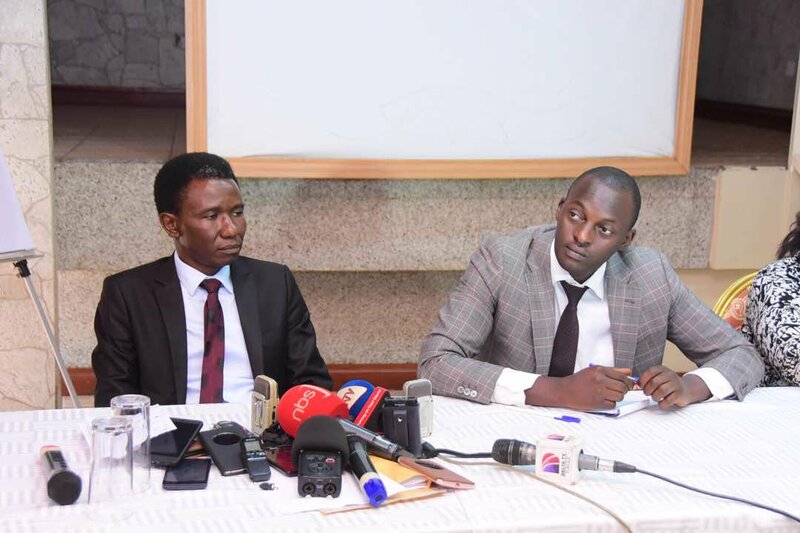 Addressing journalists in Kampala, Mr Kiiza revealed that two other Rwandan nationals; Emmanuel Rwamucyo and Augustine Rutayisire have since been arraigned before Military Courts and remanded to prison on trumped up charges of unlawful possession firearms. He said that the Rwandan nationals are arrested between Kampala and Mbarara before they subject them to long detention periods. “These injustices are wide spread and reflect unformatted pattern of how some Rwandans in Uganda are being harassed by sections and individuals in the military over issues that the ordinary suspects know nothing about,” said Mr Kiiza accusing military officers of blocking them from accessing their clients while in detention. Mr Kiiza, also the lawyer representing more than fourteen other Rwandan nationals lamented that his clients are tortured before they are deported while others are arraigned before court and they are never granted bail. “We appeal to the Chief of Defence Forces (CDF), the director of CMI to ensure that their officers refrain from torturing people and respect their fundamental human rights and court orders for their release or production in court are respected,” he said. Other Rwandan nationals on remand, Mr Kiiza identified them as Claude Iyakeremye, a boda boda rider charged with unlawful possession of a firearm while Rene Rutagungira is on remand over charges in connection with Kidnap. Mr Rutagungira is jointly charged with eight other people including Police officers in connection with kidnapping former bodyguard to Rwandan president, Paul Kagame in 2013 who was dubiously extradited back home and sentenced to life imprisonment. “We are troubled that the officers at Makindye Military Barracks keep disregarding production warrants of High Court regarding Rutagungira. This stops him from attending his High Court trial in which he is suing his tormentors for torture they visited on him,” Mr Kiiza said. When contacted, Defence and Army Spokesperson, Brig Richard Karemire said he did not have powers to comment on the matter.